Here's some photos I took! 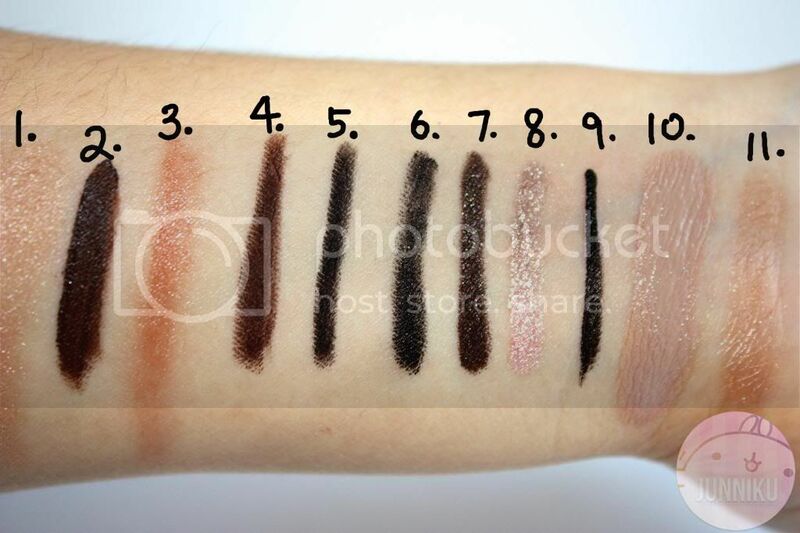 Lots of different makeup swatches, ranging from eyeliners, eyeshadows, cream blushes, and BB cream! 3. Bobbi Brown "creamy colour for lips and cheek"
I put some water on my arm, and a dollop of Laneige Multi Cleanser, smack down in the middle. 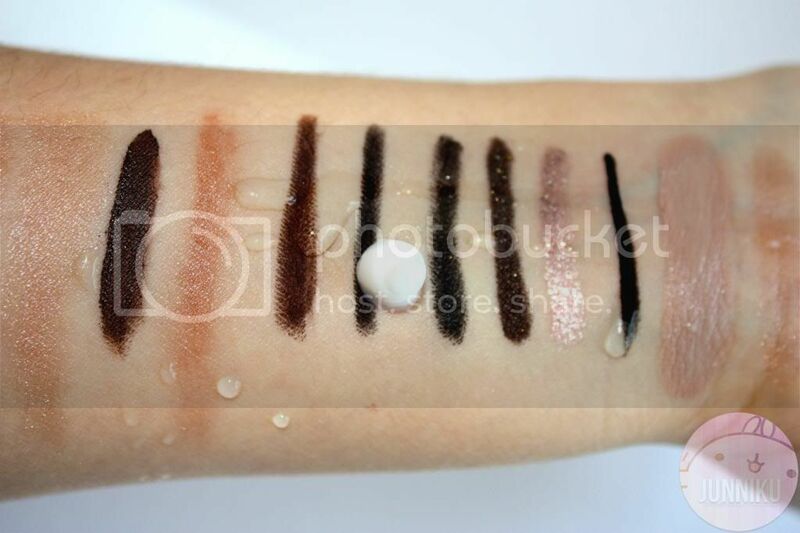 Then, I massage it into the makeup swatches! The white foam obviously changes colour because it's being mixed with all that makeup. 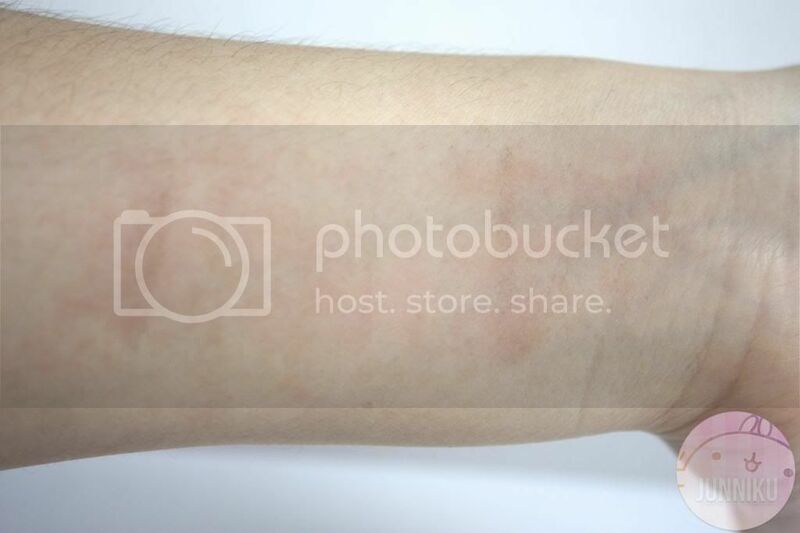 The white changed to a gross grey colour on my arm. Ick! It didn't take off the makeup 100%, because i can still see a faint swatch of the Holika Holika eyeliner (no surprise there, that eyeliner sticks like IRON) and surprisingly, the Tonymoly backstage eyeliner stuck around a bit as well! I use this product after my Sephora supreme oil cleanser, to double cleanse. Double cleansing is a common (and important!) 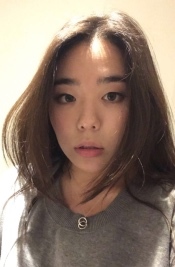 step in both Korean and Japanese skincare routines. I'm pretty used to doing it, and using 2 different products to remove makeup and cleanse my skin isn't a big deal for me. Anyways, the Sephora cleanser is admittedly a bit difficult to work with, I feel that it leaves an oily film on my face. It takes a whole lot of time to get that film off (and water). I like using this cleanser after because it really takes off any gross feeling, and I can feel it really clean my skin, down to the (not so itty) pores! It's an alright cleanser - though it doesn't completely get rid of all traces of makeup on its own, it's not the reason why I purchased it anyways. I still like it enough to keep purchasing it. Not bad! :) I might just try that in the future! Thanks for the review! I heard so many good about Laneige, great review honey. I have to find a place where I can order it. Looks like a great product! 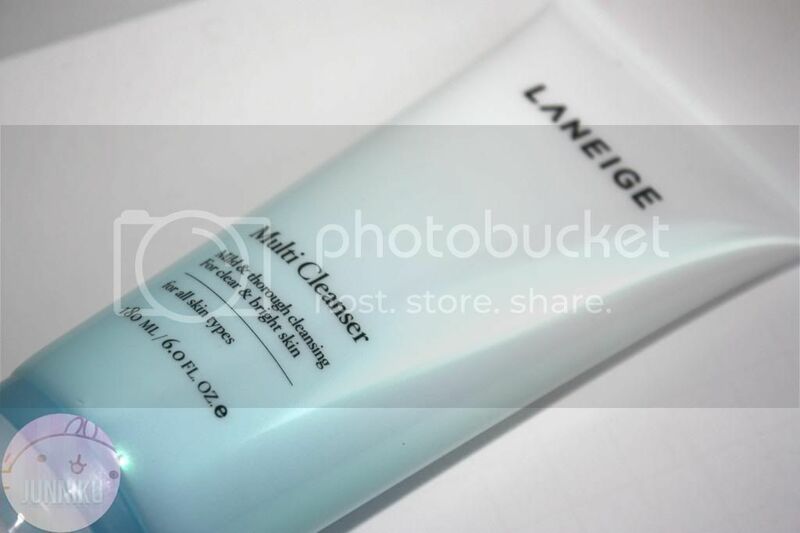 I've heard so many great things about Laneige... wish it was easier to find here. Looks like a decent cleanser! Too bad it doesn't remove everything but good enough :P Is it drying? Hi Chee, and it's not too drying for me. I don't really notice a drying effect as much as I feel a tightening effect! Not as tight as Laneige's "foam cleanser moisture", though. This cleanser looks really nice. and is really perfect to me. Following you on bloglovin now, hope you will follow back. Thank you Yomi - I'm doing the same! 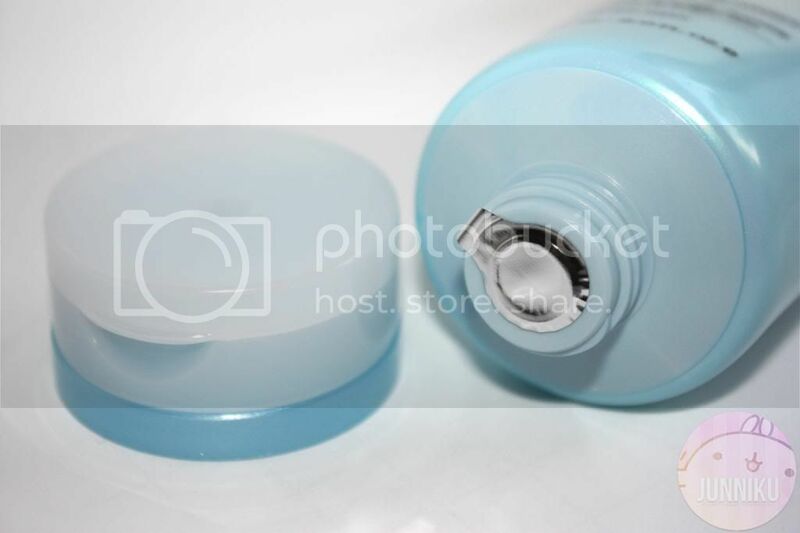 Seems to be a good cleaner, it cleaned of most of the products. P.S. I started following you on Google Friend Connect! I"ve always loved Laneige products! it's super affordable and the quality is excellent! This is such a great cleanser. thx for sharing !! Wow, I am loving your blog! Especially your banner! This seems to be a pretty good cleanser! I definitely need to check it out. Just followed your blog!! Follow back? I will definitely follow you on bloglovin! Thanks for the nice comment on my blog. Seems good, I definitely know laneige has some legit skincare, haven't tried their face wash but it sounds promising! Nice review i'm thinking of buying it! Also can you please do a skin routine post? im using this as my current cleanser but i much prefer their last one (pink snowflakes) before the repackaged it! the last multi cleanser used to be amazing and could remove waterproof makeup etc but this one lacks a bit! I usually always remove my makeup before cleansing it. Even if there is a cleanser that says it removes makeup, I still believe that it's difficult for it to be removed completely with only a cleanser. The Multicleanser definitely belongs to one of my favorite cleansers. I really like it.